Who can refuse desserts? Why, even vegans crave for their sweets! And guess what, there are plenty of dessert options today that do not use animal products such as dairy and eggs. 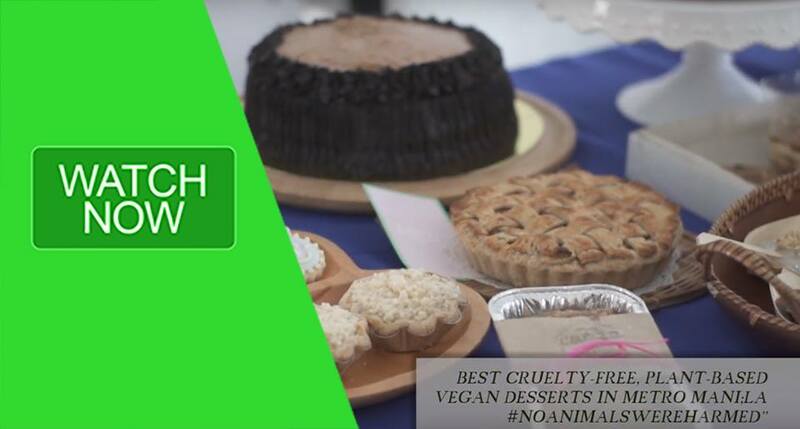 There’s so much to choose from, that quite literally, you can already hold a competition for the best vegan desserts in the city! So, TessDrive goes to the Century City Mall in Makati City to get a taste of the delicious concoctions of the participants to PETA’s Best Vegan Desserts competition. This isn’t gonna be just eye candy, folks. Let the sweet times roll! Finalists from across Metro Manila showcases their vegan versions of the all-time favorite ice cream, doughnuts, cakes, cookies, pies, and much more! This is definitely sweet-tooth heaven! Now, if you’re one of the judges or organizers of this competition, you are the envy of the world. One judge described the desserts creations as “devilishly delicious dairy-free and egg-free treats, which are as sweet to cows and chickens as they are to your taste buds.” Now that’s a mouthful! To be fair, it wasn’t only the judges and the organizers who had a sweet, sweet day getting their fill of the goodies. For just a minimal entry fee, the public also got to sample these delectable desserts. Of course, PETA (People for the Ethical Treatment of Animals) made sure that not only were the guests’ palates satisfied, but their minds, as well. PETA staffers readily explained to the public all desserts used no animal products. Thus, no animals were harmed to sweeten everyone’s day. Studies show that 90% of Filipinos are lactose intolerant, and the demand for dairy-free desserts has increased significantly. No matter how sugarcoated our food is served to us in the literal and figurative sense, if we know that our eating pleasure was derived from processes involving intense suffering endured by cows and their calves, or by hens in egg factories that have had their beaks cut off, then even desserts become too hard to swallow.